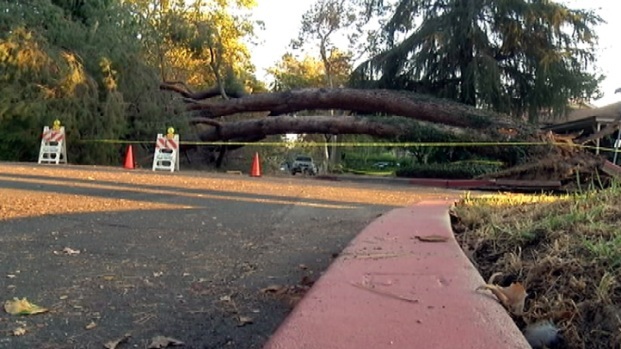 Crews worked to remove a tree Tuesday morning that toppled onto a North Hollywood street and blocked traffic during the Labor Day weekend. Neighbors reported a series of loud cracking sounds early Saturday before the tree fell at the intersection of Landale Street and Farmdale Avenue (map). Firefighters assessed the damage early Saturday and taped off the intersection. Work crews began removing the tree Tuesday morning. "It was about 45 minutes before the tree came down that I was hearing cracks," said resident Erik Ovanespour, who lives three houses north of the Landale-Farmdale intersection. "I thought it was about 20 raccoons having a field day in the tree." 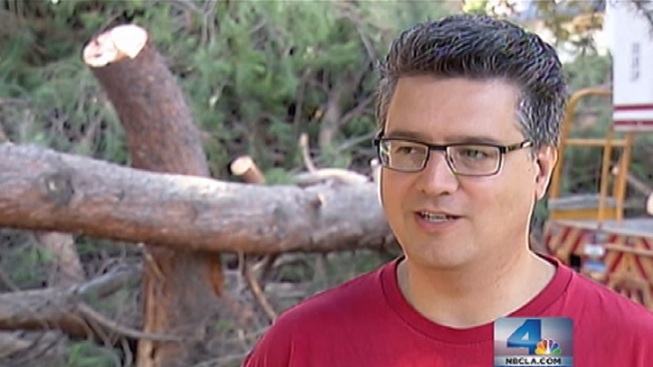 Resident Erik Ovanespour describes the cracking sounds he heard before watching a 150-foot tall tree fall in his Studio City neighborhood. The tree did not land on any homes or vehicles, but traffic was blocked at the intersection during the weekend. Initial estimates pegged the tree at about 150-feet tall. Revised numbers show it was between 80 and 100 feet. Another towering tree looms over Ross Hoopers' house, next to the one that fell Saturday monring in front of his residence. 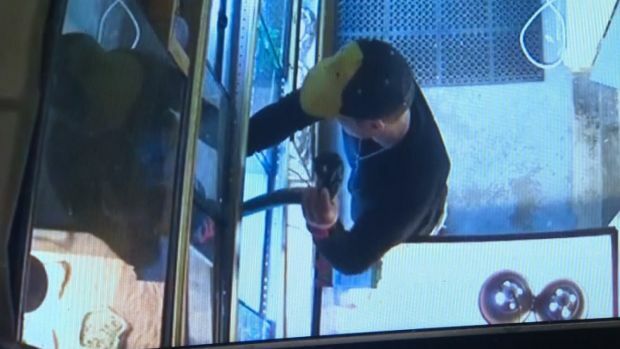 "The next one to come down probably will not come down without doing some damage," Hooper said.